I purchased this pattern at Etsy from LazyDaisyCrochet for $3.99. 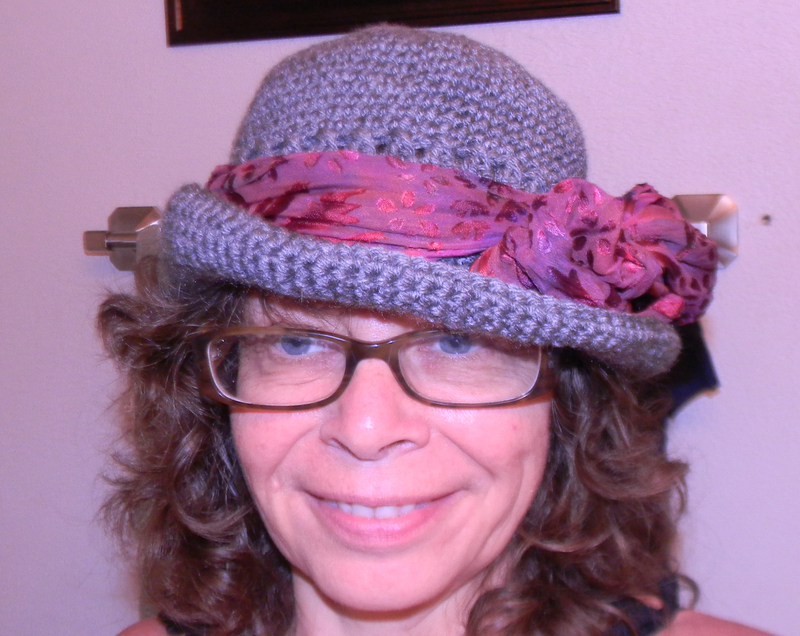 It is another quick and easy hat and comes in 5 sizes. 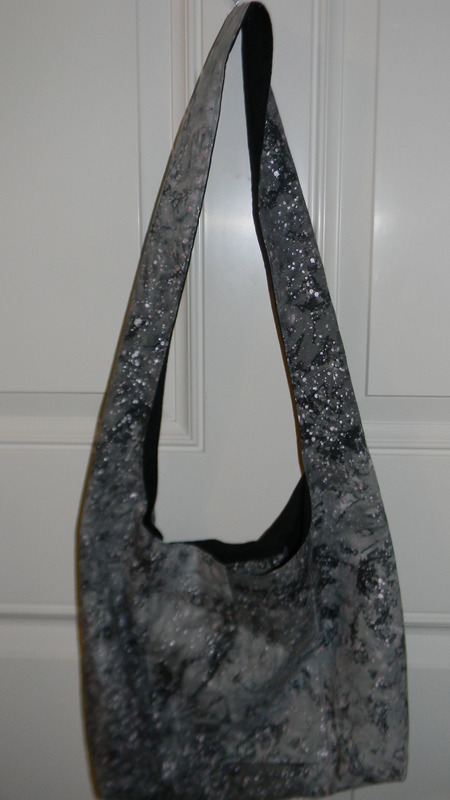 I made the size 21 1/2 but it is a bit large. 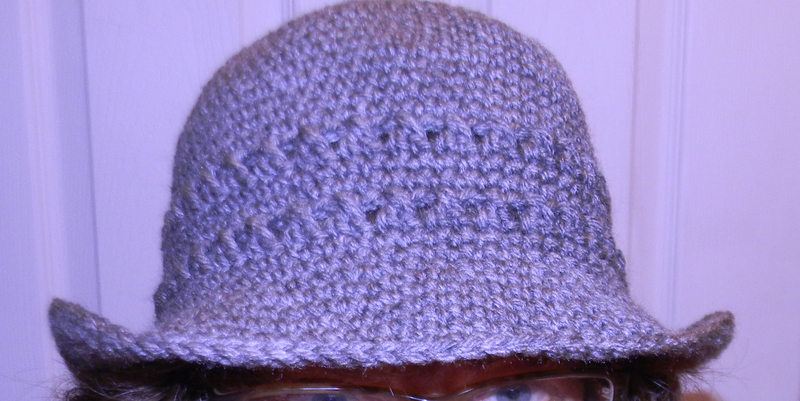 The pattern said not to have it too tight or the brim will not lay right. I may try making the next size smaller and see how it fits. I used Red Heart Super Saver in Gray Heather with a size G hook. It is rated easy and uses single crochets and double crochets for the X rows. I placed one of my fabric flowers in the brim and then I tried a scraf. It would also be cute with a purchased flower or a crocheted flower . I am pleased with this pattern and Betsy also has other cute patterns in her Etsy Store. 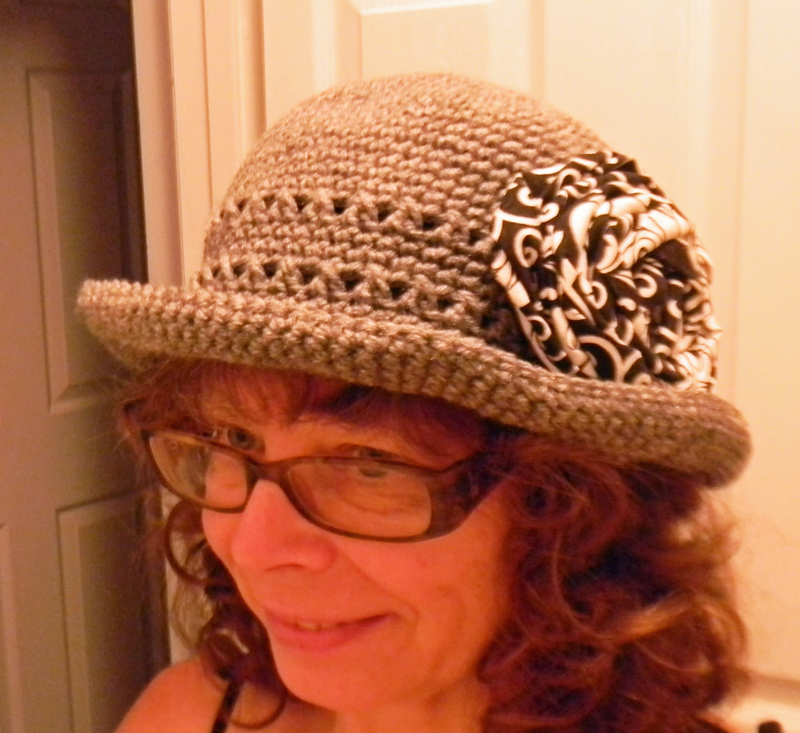 This entry was posted in Crafts, Crochet, Hat, Posts and tagged Croched Hat, Crochet, Crocheted Summer Hat. Bookmark the permalink.